Tech giant Apple has announced one of the most anticipated tech events of 2018. This Apple Special Event is being held at the Steve Jobs Theater inside Apple Cupertino Campus, also known as Apple Park, on 12 September 2018. The event will start at 10:00 AM Pacific Time, which is 5:00 PM in GMT. Let’s explore the options on how you can watch Apple keynote 2018 live stream. 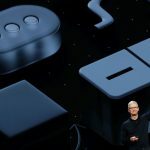 Unlike the older days, there are a number of ways to watch Apple keynote 2018 live stream depending on the type of device and browser you use. You will need to visit the Apple Special Event link directly on one of the following devices. Earlier on June 4, 2018, the Apple Special Event was attended by developers from 77 countries. Rumors are Apple will unveil a new version of the iPhone X, a lower-cost iPhone, a new Apple Watch, an update on iOS 12’s release, among other Apple products.